This year marks the 50th Anniversary of the establishment of the National Trails System, created by Congress as a dynamic experiment in citizen-based public/private trail-building for public benefit. The experiment worked — in every state, from local bicycle/pedestrian trails connecting neighborhoods to long-distance paths leading through some of America’s most remote and scenic landscapes and historic places. Americans have walked, hiked, snowshoed, and cross-country skied these trails. They have ridden their horses and bikes down these trails and have accessed their hunting, fishing, and camping sites. Since 1995, tens of thousands of citizen volunteers have contributed more than 18 million hours to build and maintain these trails, and nonprofit trail organizations over $186 million toward building and maintaining trails, a total value of $538 million. Outdoor recreation on National Forest lands alone contributes more than $13 billion dollars to the national economy and supports over 205,000 jobs annually. National Parks, National Wildlife Refuges, National Monuments and other public lands and waters account for $50 billion in economic output and 426,000 jobs nationwide. While we applaud Congress for preserving trail funding in FY18, it is exceedingly unfortunate that the Administration’s 2019 budget fails to provide for even the most basic necessities to maintain and manage these critical recreation resources, putting the past 50 years of partnership and hard work in jeopardy. Trails are the gateway to nearly every facet of outdoor recreation, including fishing, hunting, wildlife viewing, camping, and more. A failure to maintain and manage our nation’s trails stymies economic growth and access to healthy outdoor recreation. Threaten the livelihoods of the 7.6 million Americans whose jobs depend directly on the outdoor recreational activities that take place on trails. In 2016, Congress passed what was termed “the most bipartisan bill in Congress” — the National Forest System Trails Stewardship Act — to reduce the maintenance backlog on 156,000 miles of trails in the National Forests. Unfortunately, the Administration’s 2019 budget cuts fly in the face of Congressional intent. Maintain funding for the Legacy Roads & Trails program to at least $40M (FY18 enacted; an increase of $40M from the FY19 proposed budget). The National Park Service not only maintains trails within park units such as Yellowstone and Acadia National Parks, but also has administrative responsibility for 23 National Scenic and Historic Trails. Last year 331 million people visited a national park unit, and trails were integral to these visits. Proposed cuts in Refuge Visitor Services would negatively affect environmental education and birding programs and hours of operation for some visitor centers. With the proposed elimination of funding in the FY19 budget, the LWCF would be unable to fulfill a bipartisan commitment to safeguard our natural areas, water resources and cultural heritage, and to provide recreation opportunities to all Americans. In this 50th Anniversary of the National Trails System, the cuts would prevent congressionally designated trails from advancing towards completion. We ask that, as Congress did in FY18 funding, it reject these proposed cuts and restore funding for the LWCF. Once land is acquired, volunteers and private funding stand ready to build/maintain the trails. As you are aware, the LWCF program expires on September 30, 2018. We ask that you permanently reauthorize the program. We look forward to working with Congress to fulfill these requests to protect, preserve, and maintain trails. 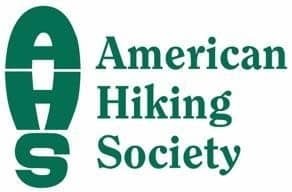 For additional information please contact Tyler Ray, American Hiking Society, tray@americanhiking.org. Gary Werner, Partnership for the National Trails System, gary@pnts.org, Randy Rasmussen , Back Country Horsemen of America, WildernessAdvisor@bcha.org, or Mike Passo, American Trails, mikepasso@americantrails.org. Bay State Trail Riders Association, Inc.
Rail-Trail Council of Northeastern Pennsylvania, Inc.
 Partnership for the National Trails System, Contributions Sustaining the National Scenic and Historic Trails (2018), http://pnts.org/new/partnership-for-the-national-trails-system-gold-sheet-of-volunteer-contributions-in-2017/. Outdoor Recreation Economy, Outdoor Industry Association 15 (2017), https://outdoorindustry.org/wp-content/uploads/2017/04/OIA_RecEconomy_FINAL_Single.pdf; “Forest Service Makes it Easier for Visitors to Enjoy National Forests and Grasslands.” U.S. Forest Service, https://www.fs.fed.us/news/releases/forest-service-makes-it-easier-visitors-enjoy-national-forests-and-grasslands. Economic Report for Fiscal Year 2016. U.S. Department of the Interior 2 (2017), https://doi.sciencebase.gov/doidv/files/FY%202016%20DOI%20Economic%20Report%202017-09-25.pdf. Outdoor Recreation Economy, Outdoor Industry Association 5 (2017), https://outdoorindustry.org/wp-content/uploads/2017/04/OIA_RecEconomy_FINAL_Single.pdf. “National Park System Sees More Than 330 Million Visits”, National Park Service (Feb. 28, 2018), https://www.nps.gov/orgs/1207/02-28-2018-visitation-certified.htm. Fiscal Year 2018 The Interior Budget In Brief, Department of the Interior BH-9 (May 2017) https://www.doi.gov/sites/doi.gov/files/uploads/2018_highlights_book.pdf.